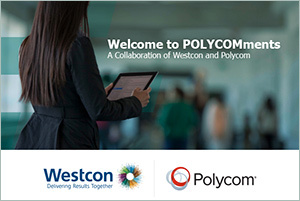 Welcome to Westcon and Polycom’s collaborative quarterly newsletter, POLYCOMments. In each issue, we’ll bring you insights into the people, promotions, tips and tools that are available to help you grow your UCC business. Plus, you’ll discover how our collaboration delivers results for you!